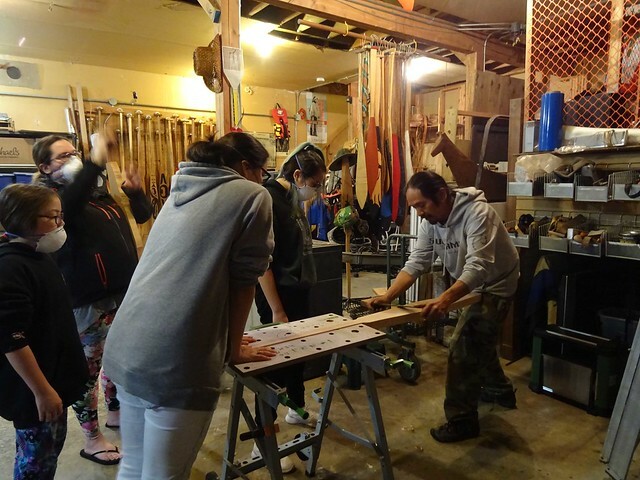 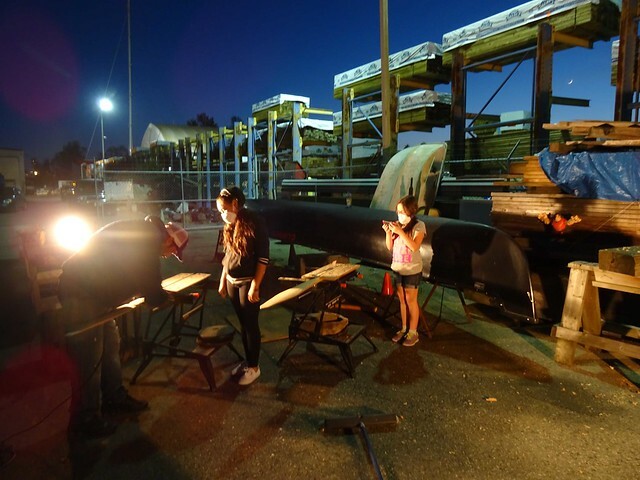 In April 2016 ISEF in partnership with the Canadian Canoe Museum offered a joint paddle carving and photography workshop to youth of the Squamish Nation in North Vancouver. 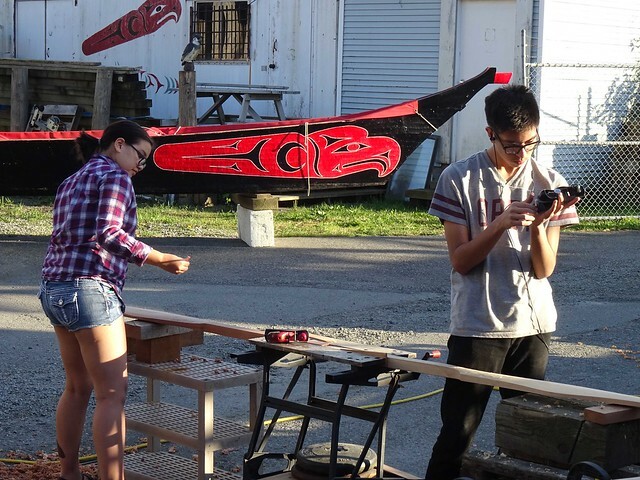 Wes Nahanee and Shucks Nahanee of the Squamish Canoe family taught the paddle carving at their canoe family house beside Mosquito Creek in North Vancouver. 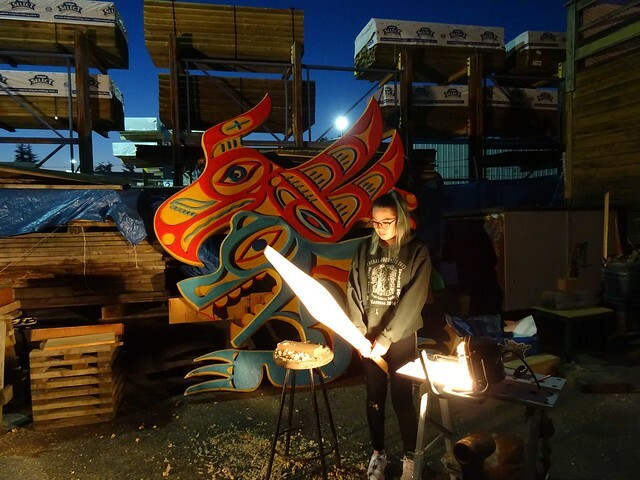 Over a period of 4 weeks the youth carved paddles and took photographs of both that process and things that were important to them in their own lives. 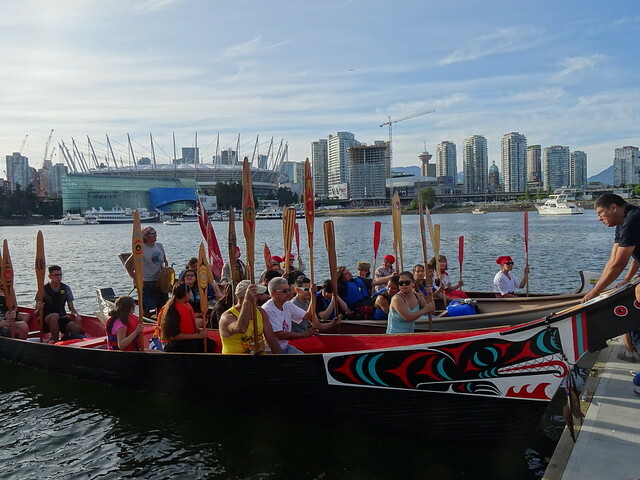 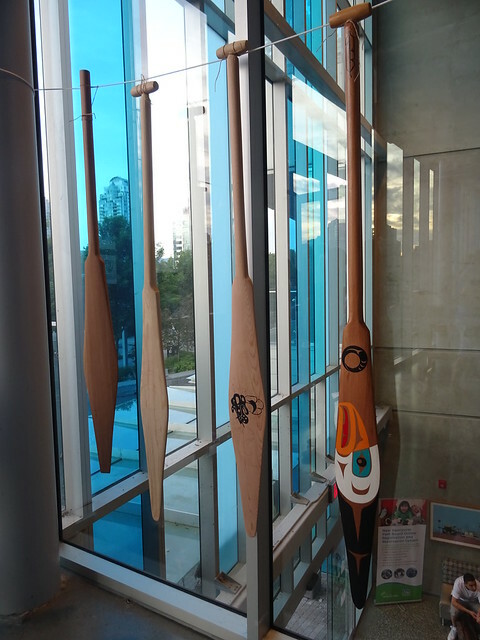 Their paddles and a selection of photographs were exhibited at the Paddle Together event on May 13, 2016 at Creekside Community Centre in Vancouver. 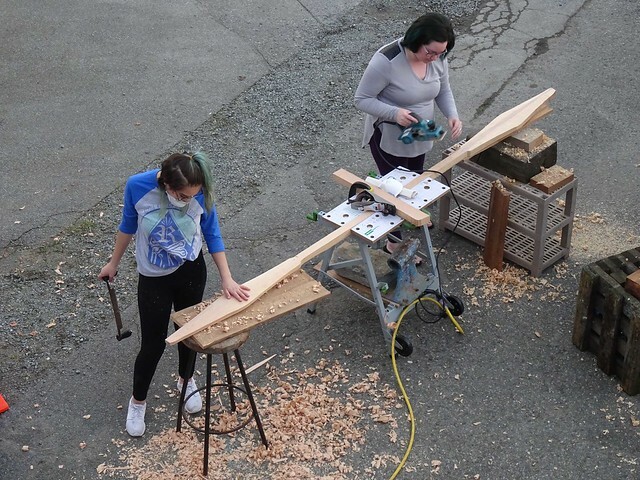 First day with paddle blanks ready to carve. 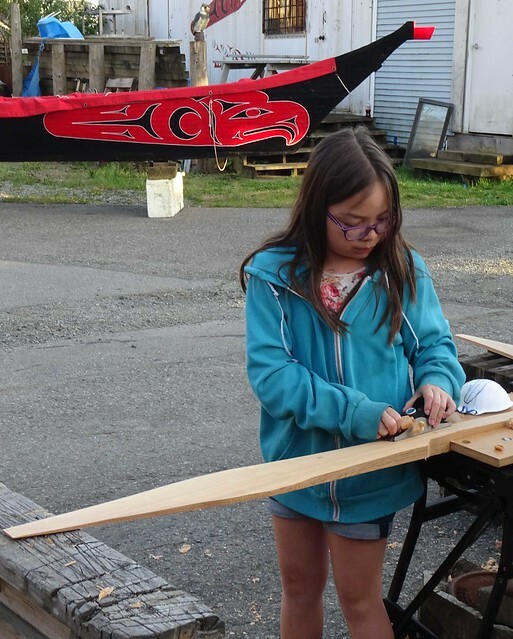 Learning how to use the draw knife. 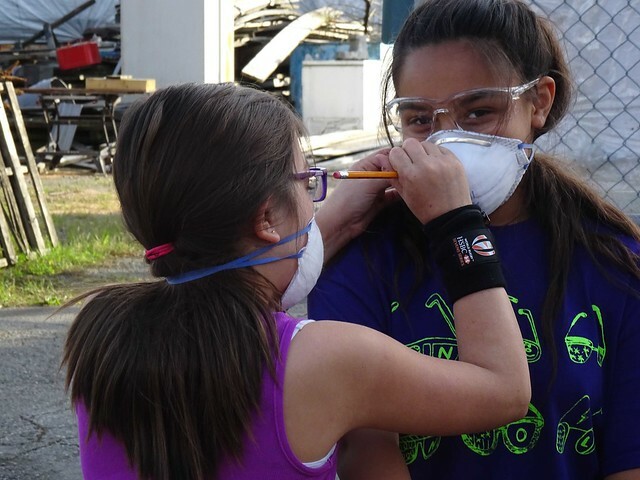 Sometimes even a dust mask needs to smile. 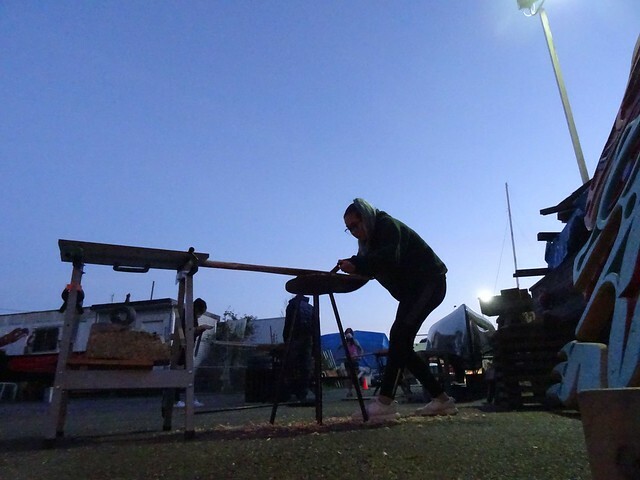 Working from late afternoon into the night the students kept coming back to finish their paddles. 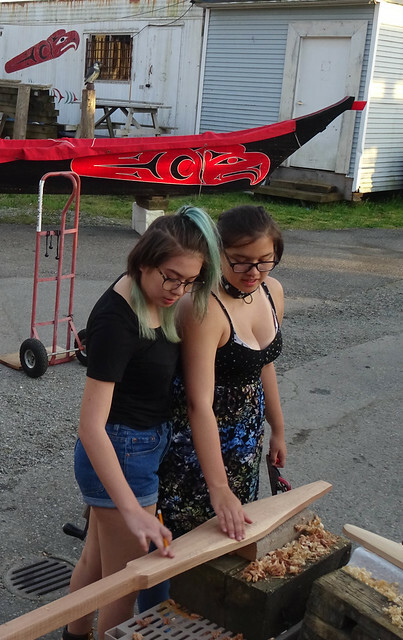 The final results were fantastic: from a cedar blank to a beautiful functional paddle. 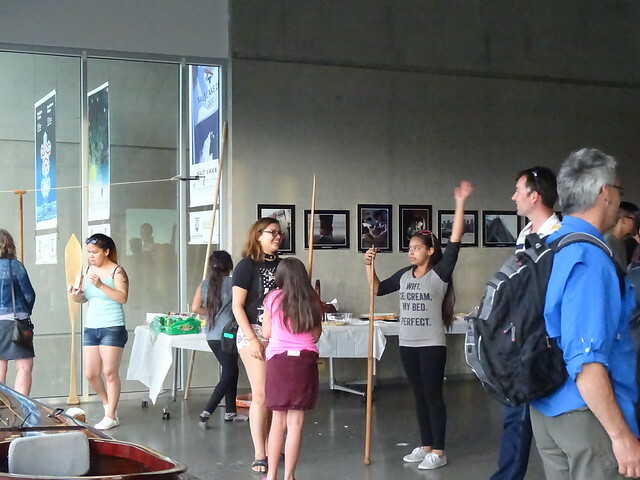 See the youth photographs as they were printed for the Paddle Together Exhibition here.